Join us March 20 at TechFire! Audience: business leaders & tech leaders: CEOs, CFOs, investors, government/transportation leaders. We’ve hosted 40+ events since 2013. Program Overview: Featuring an all-star lineup of venture capital, tech, economic, and mobility leaders: VCs from Silicon Valley (Shasta Ventures’ Nitin Chopra) and L.A. (Greycroft’s Mark Terbeek), economist LAEDC’s Somjita Mitra, Ph.D.), and Accenture Labs’ Mary Hamilton. Plus a panel on scooters and the future of mobility featuring Spin’s Douglas Curl (General Manager, LA), L.A. City Council Transportation Chair Mike Bonin, L.A. Councilman Joe Buscaino (tentative), Culver City Mayor Thomas Small, and Santa Monica Deputy City Manager Anuj Gupta. How to Register: to register, visit the event ticketing page. 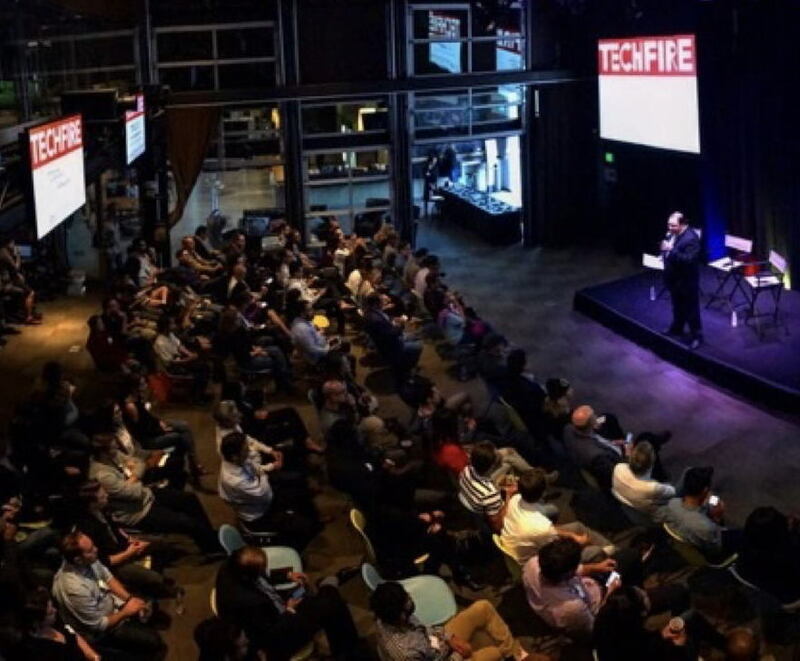 TechFire has been recognized in Techmeme's list of nationally significant tech events. 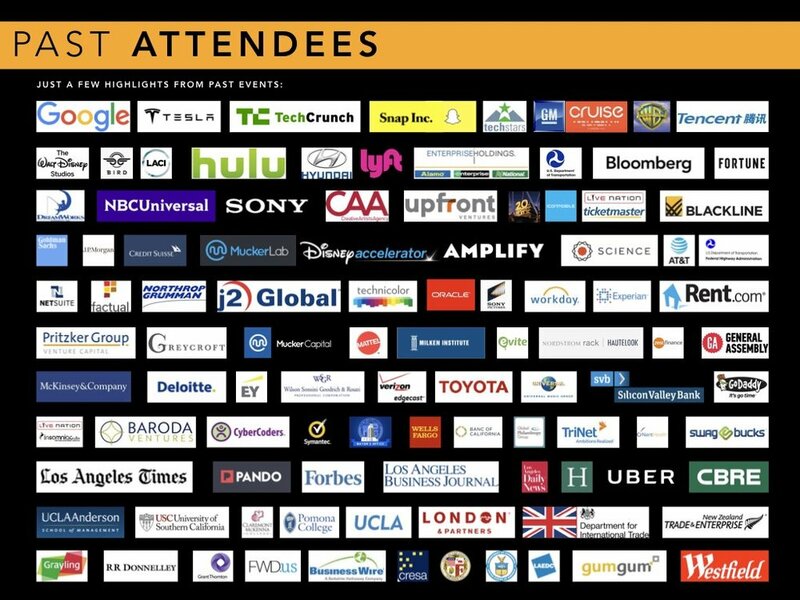 Don't miss the chance to network with tech and business leaders and to hear from an all-star lineup of speakers: VCs, economists, and mobility/government leaders. Mark Terbeek is a Partner with Greycroft, a leading venture capital firm with $1.3 billion in assets under management, focused on investments in the Internet and mobile markets. Greycroft is currently investing out of two funds to support entrepreneurs at any stage, including Greycroft Fund V, a $256 million venture fund, and Greycroft Growth II, a $365 million growth-stage fund. The venture fund invests between $100,000 and $5 million in a first check, and will invest up to $10 million over multiple rounds. The growth fund starts at $10 million and will invest up to $35 million in a company. Previously, Mark was a partner with MK Capital, a venture fund based in Los Angeles and Chicago. Mark also co-founded Jamcracker Inc., an early SaaS pioneer where he served as its vice president of corporate development. He also worked at McKinsey & Co., a management-consulting firm. Nitin Chopra is a Partner at Shasta Ventures, an early stage venture capital firm based on Silicon Valley’s legendary Sand Hill Road. Shasta Ventures invests in enterprise and consumer tech startups such as Nest Labs (acquired by Google), Mint (acquired by Intuit), and Nextdoor. Founded in 2004, Shasta Ventures has more than $1B under management, with its current fund totaling $323.2 million. Nitin Chropra focuses on enterprise and infrastructure software, particularly in security and data technologies. He serves as a board director of Cequence Security, ISARA, SlamData, FogLogic and Kubit AI, and is actively involved with Shasta Ventures’ investments in LucidWorks, Data.World, ValiMail, Lightbend, Aquera and Macrometa. Nitin routinely interacts with Fortune 500 IT Executives and holds executive roundtables with enterprise IT executives and venture-backed start-up CEOs. Prior to joining Shasta Ventures, Nitin spent a number of years in Product Management, and worked across Canada, Germany and the USA. Nitin earned an MBA degree from Kellogg School of Management at Northwestern University and Bachelor of Engineering degree in Electrical Engineering from McMaster University, where Nitin is a member of McMaster University Faculty of Engineering Dean’s Advisory Board. In addition to leading the regional Labs and Nano Labs locations, Mary also drives an agenda of client co-research, establishing ongoing relationships with leading companies in their industries to conduct joint research. Most recently she led the Global Digital Experiences research and development agenda focused on applying emerging digital technologies to address key business challenges of Accenture’s clients. Her multidisciplinary team developed differentiated technology concepts based on innovative advances in experience-driven technologies including extended reality (AR and VR), generative design, human-machine teaming, robotics, connected car, customer analytics and adaptive services, and crowdsourcing. Mary received her SB degree in Materials Science and Engineering from Massachusetts Institute of Technology. She enjoys traveling whenever possible, especially with her family, including her four year old and two year old twin sons. Dr. Somjita Mitra joined the Los Angeles County Economic Development Corporation (LAEDC)’s Institute for Applied Economics as an Economist in June 2013. She is involved in the planning, designing and conducting of research and analysis for LAEDC’s internal departments and for consulting clients and local businesses and governments. LAEDC (the Los Angeles County Economic Development Corporation) was founded in 1981 as a nonprofit, public-benefit organization to harness the power of private sector in collaboration with L.A. County, to guide economic development and create more widely shared prosperity. LAEDC collaborates with all stakeholders in the region including education, business, and government. LAEDC also convenes the popular Innovate LA festival each year. Dr. Mitra received her B.A. in Economics and Political Science from UCLA and her M.A. in Politics, Economics and Business as well as her Ph.D. in Economics from Claremont Graduate University. She enjoys volunteering in the local community and is actively involved in both women’s welfare and animal rescue organizations. Spin’s Douglas Curl (General Manager, LA). Douglas Curl is Spin’s General Manager for Los Angeles. Spin provides shared electric scooters for cities and campuses. Spin currently operates in Los Angeles, Long Beach, and 12 cities across the nation from Washington, DC to Austin, TX), plus 8 college campuses like UC San Diego and Duke University. In November 2018, Spin was acquired by Ford, which will continue to operate Spin as a standalone business within Ford Smart Mobility, poised to expand aggressively. Founded in San Francisco in 2016, Spin has launched dockless mobility systems in cities and campuses around the US. Spin’s core team is comprised of engineers, designers, operators, lawyers, and public policy makers with experience from Y Combinator, Uber, Lyft and other technology companies. Formerly with Tesla, Doug is also an early stage tech investor and advisor (Vantage Robotics, Hyper Sciences, NowRx). L.A. City Council Transportation Chair Mike Bonin. Los Angeles Councilman Mike Bonin is the Chair of the Los Angeles City Council’s Transportation Committee, and a member of the Metro Board. Representing parts of Los Angeles where the LA tech community is concentrated, Mike Bonin is known for not only his leadership on multimodal transportation issues, but also his tech-savvy approach. His district includes includes Venice, Playa Vista, Pacific Palisades, Brentwood, West LA/Sawtelle, Mar Vista, Del Rey, Marina del Rey, Playa del Rey, Westchester and Ladera. As councilmember, Mike has been a champion of neighborhoods, a force for smart, responsive government, and a progressive voice for social justice. A former newspaper reporter, Mike graduated from Harvard University in 1989 with a B.A. in United States History. L.A. Councilman Joe Buscaino (tentative). Joe Buscaino is the Assistant President Pro Tempore of the of the Los Angeles City Council. Councilman Buscaino — pictured below riding a scooter at LA City Hall — has played a key role in fostering the micromobility revolution in Los Angeles. He also serves as First Vice President of the National League of Cities. A former LAPD officer, Buscaino was first elected on January 17, 2012 to fill the vacancy left by Janice Hahn, following her successful bid for US Congress. He was re-elected to his first full four-year term on March 5, 2013. Councilman Buscaino chaired the powerful Public Works & Gang Reduction Committee and now serves as Chair of the Trade, Travel, and Tourism Committee. Culver City Mayor Thomas Small. Thomas Small is Mayor of Culver City, which in recent years has attracted companies like Apple and Amazon Studios, and where under Mayor Small’s leadership the City is currently piloting an electric scooter share pilot program. Mayor Small’s focus has included excellence in urban planning, sustainable design and mobility. Mayor Small has been featured or quoted on design or mobility in the New York Times, the LA Times, NPR and the Washington Post, and was recently interviewed live on CNBC on new transit technology. He serves on the Transportation Committee for the Southern California Association of Governments. As an architectural writer and consultant, he has worked on projects in urban and sustainable design and planning, development and historic preservation in the Americas, Asia, Europe, the Middle East and taught at UCLA. He graduated from Yale University with honors, held a French National Fellowship at the Nouvelle Sorbonne of the University of Paris, and a National Endowment for the Arts Fellowship at the Columbia School of Journalism. Santa Monica Deputy City Manager Anuj Gupta. Anuj Gupta has played a crucial role in shaping the global micromobility revolution, overseeing the scooter and e-bike program in the city where it all started — Santa Monica — which continues to influence how other cities approach micromobility. A former Obama Administration official, Gupta worked for the Obama White House with primary responsibility for all presidential policy briefing and decision memos, in the Office of Legal Policy at the U.S. Department of Justice, and on President Obama’s 2008 campaign. Returning to Los Angeles, he served as Los Angeles Mayor Eric Garcetti’s Director of Operations and General Counsel in the Office of Immigrant Affairs, before being appointed Santa Monica’s Deputy City Manager and Director of Policy. Anuj graduated from Stanford and NYU School of Law.